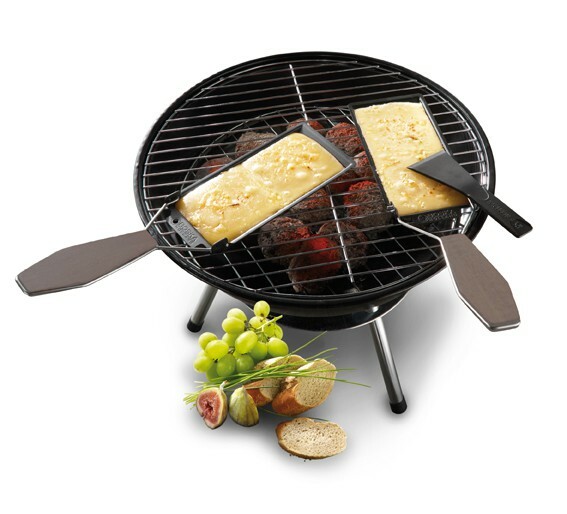 The Cheese Barbeclette is specially designed by Boska to allow you to enjoy raclette, even during the summer months. Add variety to your menu during summer barbecues with your friends. Prepare the most delicious cheese burgers or vegetarian dishes. Boska’s goal is to inspire people in the area of cheese and entice cheese lovers to discover new possibilities. Also for the enjoyment of cheese in melted form. 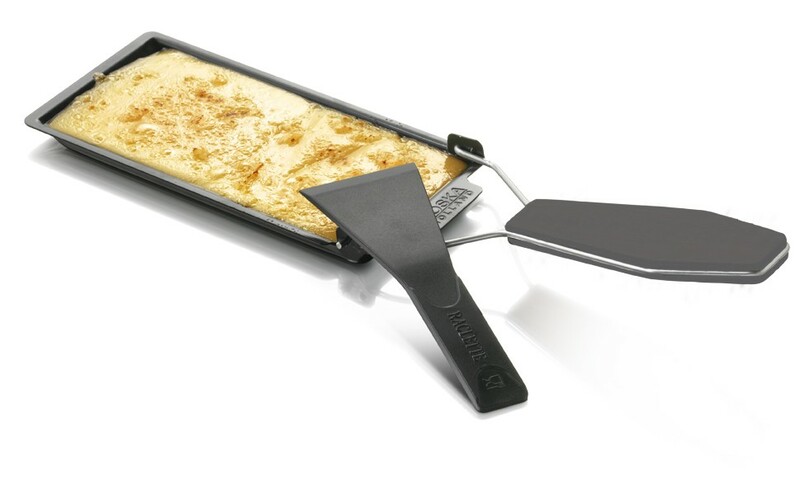 Raclette grilling for example. You won’t have to visit Switzerland! Is raclette grilling only for the winter? Not according to the Boska team. Enjoy delicious grilled cheese, even in the summer. Actually, a summer evening without delicious cheese dishes is inconceivable! 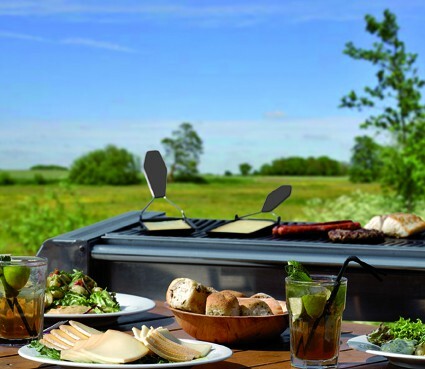 The Cheese Barbeclette was designed with this thought in mind, allowing you to melt many delicious types of cheeses on the barbecue. 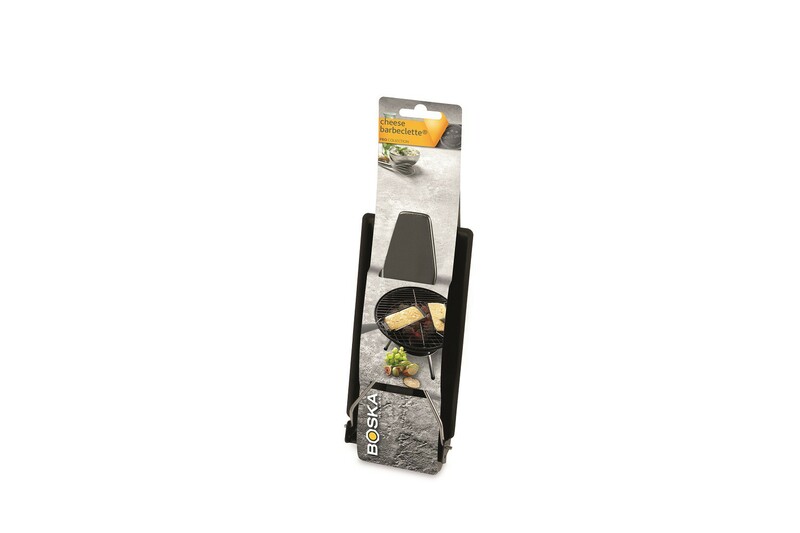 The Cheese Barbeclette has a sleek designs that matches any barbecue. The handle is adjustable, so you won’t burn your fingers. The included spatula fits perfectly and does not scratch the surface. Use it to make delicious raclettes every summer. 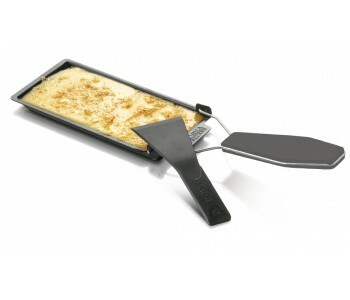 The smart design ensures that no cheese leftovers will remain and makes it easily cleanable. For the real cheese lover but also for delicious vegetarian dishes. It makes barbecuing a lot more fun and tasteful for your vegetarian guests. But it is also the perfect addition to your hamburger. Making your summer barbecues with friends a lot more varied, fun, and delicious! 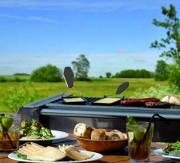 The Cheese Barbeclette offers many possibilities for the true creative outdoor cook. Why not try using it in combination with various vegetables, peppers, and herbs. Cheese is a truly delicious addition to your standard barbecue recipes.